This is the most northerly of four mid-sea patch reefs named after British 19th century cartographers who first mapped the area. To the East of Jackson lies Tiran Island and Foul Bay, to the west the Sinai Peninsula. The reef stands on top of a deep water ridge dividing the east African and Asian continental plates, which are slowly separating. 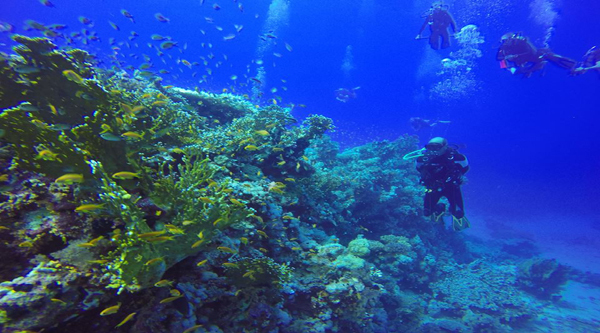 The reef complex lies in a north east, south west direction at tile entrance to the gulf of Aqaba. Towards the northern edge of Jackson reef the wreck of the "Lara" stands, the vessel sank in 1985. Originally a Cypriot freighter it now stands as a marker to other seafarers as to how treacherous these deep waters and reefs can be. The Lara is now a shadow of her former self, having been systematically salvaged for scarp leaving a bare skeleton shell. Various parts of the hull have found their way down the reef wall towards the northwest comer. The debris "Garden" can be easily viewed in the shallow parts, of the wall, most parts overgrown with hard & soft corals. 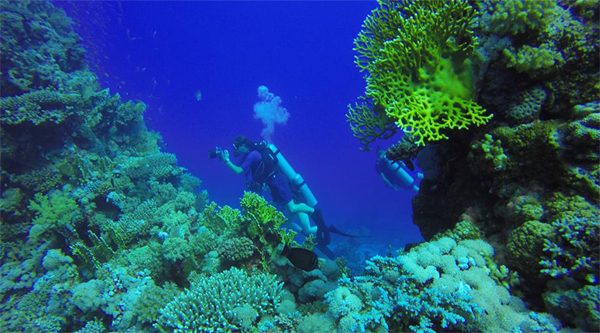 Diving at Jackson can be done as a mooring or a drift dive. Fixed moorings are all located on the southern edge of the reef - a popular choice with day boat divers. 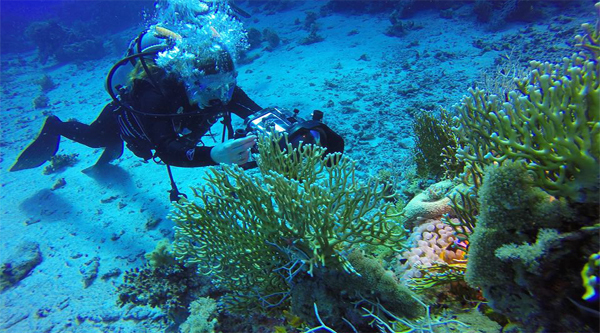 This portion of the reef is where most dives begin. Keeping the reef wall on the right shoulder and fining gently towards the western comer. Here a coral garden slopes seaward. 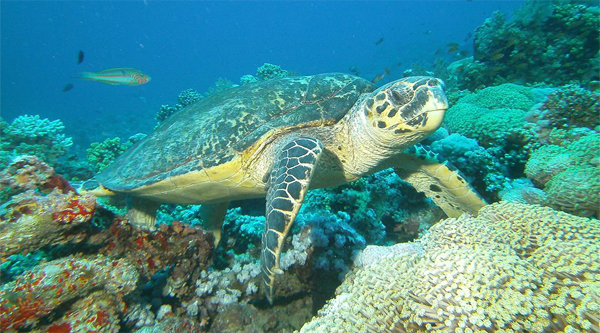 This garden is extremely bountiful in marine life and in fact rates second to that of Ras Mohamed. Take care when diving here as a strong current sweeps the edges of Jackson. 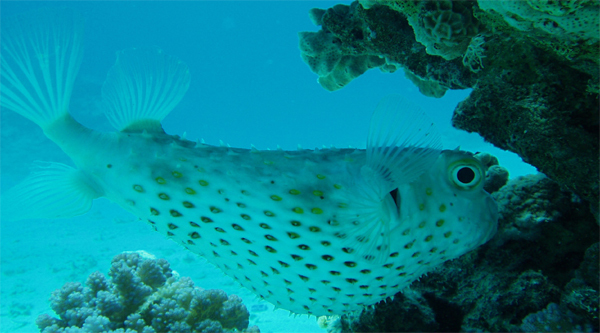 Dive guides rate the corals and reef fish at the southern end of Jackson second only to Ras Mohammed in the Sinai area. It is like a circus of fish, all competing for your attention; you hardly know where to turn next. Shallow water photographic opportunities are outstanding, especially over the vast field of fire coral trees on top of the reef. Dense schools of goldfish flit around the coral heads, while scorpionfish can be found in crevices. In the sandy patches look for small blacktip groupers, about a foot long. These docile, curious fish will swim right up to a reclining diver, staring into his mask. Sergeant majors, angels, butterflyfish, parrotfish, and triggerfish will vie for your attention as well, while schools of jacks darken the water overhead. 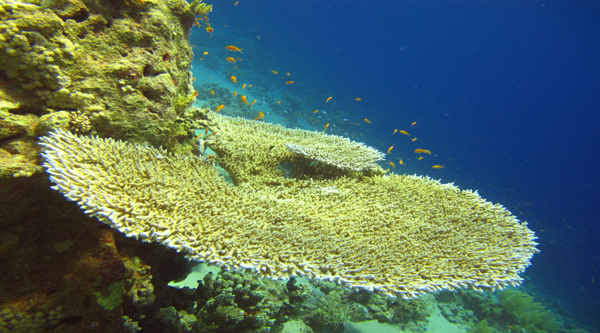 The soft corals are outstanding, among the richest in Sinai. The southern wall, which slopes to 200 feet, is the site of several large black coral trees. You don't have to go that deep to see sharks. The meeting of the currents between Jackson and Woodhouse reefs is called the SHARK LOOKOUT. There is a line attached to the reef at 80 feet, which you can hang onto in the current while observing the open water for sharks. White and blacktips, hammerheads and leopard sharks might be encountered. Strong currents often accompany tidal changes funneling through the straits. When they are present this is an advanced dive. Jackson Reef is usually dived in the morning, when the north wind keeps the moored boat clear of the reef. Jackson is truly a wonderful dive site for numerous and various dives depending on experience level. The reef remains in a very good state of health. This is mainly thanks to careful divers, good briefings from local dive masters and a very nutrient rich flow of water in the straits of Tiran. May we all look after Jackson reef as it will look after us, for many years to come. From the Southern reef edge the classic "Jackson drift dive" can be done by keeping the reef wall on the left shoulder if the current is running north. The southern wall opens seaward at 15 meters to a large gently sloping coral garden. Shortly after, you pass the remains of the old light beacon. Scattered around are table corals, gorgonians, soft and hard corals. Finning gently along the garden (although you can let the current do the work) you will then probably experience a change in visibility and water temperature. By this point the coral garden will end suddenly to bring you alongside the deep eastern reef wall once again. This is where hammer heads have been spotted especially in July, August and September. Judge this dive carefully, in particular take into consideration surface conditions for easy boat pick-up. Jackson reef is not sheltered from the elements and surface conditions can change rapidly. If your air supply is good it is possible to continue along the wall, if your luck is in, turtles are a possibility, before surfacing close to "Lara".